Ensco PLC Class A (ESV) Investment Valuation. Ensco PLC Class A (ESV) is the leader in customer satisfaction and the second largest offshore drilling company. The company started trading as Energy Services Company, Inc. (formerly Blocker Energy Corporation) and the company’s growth increased through the acquisition of Penrod Drilling (1993) and Dual Drilling (1996). The company raised capital through public offerings to purchase and refurbish equipment. The company expanded from the contract drilling business into various associated businesses including a tool and supply company, engineering services and the marine transportation business. Ensco focuses solely on offshore drilling with a premium fleet, they divested marine vessels, platform rigs and the majority of barge rigs. Through new construction and acquisitions, the company grew their jack-up rig fleet and entered the developing ultra-deepwater market. The Gulf of Mexico.2009Ensco’s deepwater strategy became a reality with the first two ENSCO 8500 Series® ultra-deepwater rigs successfully commencing operations in the U.S.
Ensco high graded its fleet by acquiring ENSCO 109, a Mod V Super B high-spec jack-up built in 2008 and divesting four backups.2010Two more ENSCO 8500 Series® rigs were delivered. 1995 The company changed their name to ENSCO International Incorporated and listed their shares on the New York Stock Exchange under symbol ESV. 2000 The ENSCO 7500 was the company’s first ultra-deepwater semisubmersible was delivered and was followed by a multi-billion dollar capital commitment to eventually construct seven ENSCO 8500 Series® ultra-deepwater rigs. Late 2009 The company redomiciled to the United Kingdom and opened a new global headquarters in London in early 2010. May 2011 Ensco acquired Pride International to create the second largest offshore driller in the world with operations spanning six continents. How does Ensco Plc make money? Ensco plc (NYSE: ESV) is a global provider of offshore drilling services to the petroleum industry. ESV is operating the world’s newest ultra-deepwater fleet and largest fleet of active premium jack-ups. ESV provide drilling management for three customer-owned deepwater rigs. Their rigs have drilled some of the most complex wells in virtually every major offshore basin around the globe. Ensco’s customers are multinational integrated energy companies, national oil companies, and independent operators. 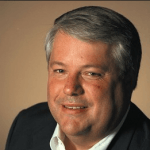 Daniel W. Rabun joined Ensco in March 2006 as President and as a member of the Board of Directors. Mr. Rabun was appointed to serve as our Chief Executive Officer effective January 1, 2007, and elected Chairman of the Board of Directors in May 2007. Prior to joining Ensco, Mr. Rabun was a partner at the international law firm of Baker & McKenzie LLP where he had practiced law since 1986, except for one year when he served as Vice President, General Counsel and Secretary of a company in Dallas, Texas. Further, Mr. Rabun provided legal advice and counsel to us for over fifteen years before joining Ensco and served as one of our directors during 2001. He has been a Certified Public Accountant since 1976 and a member of the Texas Bar since 1983. Furthermore, Mr. Rabun holds a Bachelor of Business Administration Degree in Accounting from the University of Houston and a Juris Doctorate Degree from Southern Methodist University. He served as Chairman of the International Association of Drilling Contractors in 2012. James W. Swent III joined Ensco in July 2003 and was elected Executive Vice President and Chief Financial Officer in July 2012. Prior to his current position, Mr. Swent served as Senior Vice President—Chief Financial Officer. Prior to joining Ensco, Mr. Swent served as Co-Founder and Managing Director of Amrita Holdings, LLC since 2001. Mr. Swent previously held various financial executive positions in the information technology, telecommunications, and manufacturing industries, including positions with Memorex Corporation and Nortel Networks. Mr. Swent served as Chief Financial Officer and Chief Executive Officer of Cyrix Corporation from 1996 to 1997 and Chief Financial Officer and Chief Executive Officer of American Pad and Paper Company from 1998 to 2000. Mr. Swent holds a Bachelor of Science Degree in Finance and a Master Degree in Business Administration from the University of California at Berkeley. The table above shows the liquidity ratios which is the current ratio and the quick ratio is averaging 2.57 and 2.25, respectively. The rule of thumb is 2.0 and 1.0 for current and quick ratio, respectively. The results of the ratio mean, that Ensco PLC Class A has the ability to pay its short-term debt using its current assets. .On the other hand, the solvency ratio was averaging 2.05 or 205 percent. Solvency ratio is calculated on total net income plus depreciation over total debt (short term and long term debt). It indicates that the company has 205 percent net revenue against its total debt. The ratio was decreasing from 2008 to 2011 because the company experiences a 145 percent drop in its net revenue. However, managed an increase in the succeeding years at a rate of 44 and 8 percent, respectively. Moreover, the leverage ratio was averaging 0.18 or 18 percent, this is the percent of the total debt against the total shareholders’ equity. In 2011, the ratio increased by 86 percent but nevertheless, the ratio is only a quarter of the shareholders’ equity. To sum all the results of the company’s solvency, it indicates that Ensco PLC Class A is capable of paying its long-term financial debt and it tells us that the company is financially healthy. The gross margin ratio was averaging 56.18 percent while the net margins were averaging 32.85 percent. It indicates that Ensco PLC Class A was efficient in generating revenue for its business operations. The company is profitable and financially healthy. Ensco PLC Class A has an average 0.46 or 46 percent cash flow margins. Cash flow margins are cash from operating activities as a percent of gross revenue. It indicates that the company has sound cash that was left for future investments and for paying dividends. The company has also a free cash flow of $267.33 million cash for this purpose. Going forward, the book value per share was averaging $44.21. If you will notice the book value was increasing yearly from 2008 to trailing twelve months at an average 10.4 percent and this is a good sign of the company’s profitability. On the other hand, the price to earnings and the earnings per share was averaging $10.35 and $5.22, respectively. Moreover, the Price to earnings is the price that the investors are willing to pay for the company’s earnings while the EPS represents the company’s net earnings allocated to each share of common stock. Another, the return on equity was averaging 13.52 percent, it represents the percentage of profit that the company generates for the investment that the investors have put into the company. By using the discounted cash flow spreadsheet based on the 5 years financial data, the get the present value of $88.26 per share or a total value of $20.3 billion. Moreover, the future value was $177.53 per share and with a total value of $40.8 billion. In other words, if you were to invest $88.26 today at a rate of 11.49 percent, you will have $177.53 at the end of five times period. In addition, the future value of $177.53 is equal to the present value of $88.26. Accepting an amount higher than $88.26 today and taking $177.53 at the end of 5 years, you would have taken the money today. By doing this, you will be able to invest at a higher amount at 11.49 percent equal to five years period. This will end up giving you higher than $177.53. Furthermore, the calculated net income at year five was $19.64 with a total value of $4.5 billion. The growth of book value was 10.33 percent and the yield was 3.07 percent. 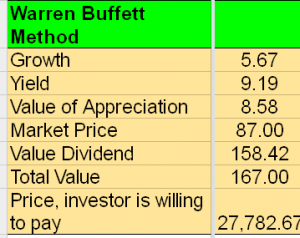 The calculated value of appreciation was $35.31, this is equivalent to the margin of safety, the Buffett style. In addition, the calculated value dividend was $36.65. On the other hand, adding value dividend and the value of appreciation will give us a total value of $71.95. Ensco PLC Class A stock has a total value higher than the current market price. Therefore, the stock is trading at an undervalued price. The price that the investors are willing to pay was $197.93 per share. Finally, Ensco PLC Class A has a good business history from the beginning and continue to show its profitable progression. Further, the company’s CEO and CFO have done a satisfactory performance in the company from the time they joined ESV. Further, with regards to the fundamentals, it shows that the company was financially healthy and with little debt. The company is capable of generating cash that can be utilized for future expansion and for paying dividends. The Benjamin Graham method tells us that the stock is trading at a discount and undervalued. In addition, the Warren Buffett method of valuing stock shows that the stock of ESV was undervalued. Therefore, I recommend a BUY on the stock of Ensco PLC Class A.
Provida is one of the oldest private pension fund administrators operating in Chile, maintaining a leading position in the Chilean private pension industry since its incorporation. As of December 31, 2012, according to official statistics released by the Superintendency of Pensions, Provida was the largest of the six AFPs operating in Chile in terms of the number of participants, contributors, assets under management, participants’ salary base and a number of branch offices. The Chilean private pension system was created in May 1981, when Decree Law 3,500 of November 13, 1980 (the “Pension Law”) was implemented to replace the prior social security system. Subsequently, on March 11, 2008, the Pension Reform Law was promulgated in order to improve the pension system, reinforcing the solidarity character of the system, extending its coverage, increasing competitiveness in the industry and boosting gender equality. Administradora de Fondos de Pensiones Provida S.A. (AFP Provida), is a private pension fund administrator. The Company’s services include the investment and collection of its affiliates’ contributions, the management of individual capitalization accounts and the provision of life and disability benefits, as well as senior retirement pensions. Further, Provida through its subsidiary Provida Internacional S.A. (Provida Internacional) maintains equity interests in private pension fund administrators operating in Peru, Ecuador, and Mexico. Provida is also authorized to establish local related corporations that may complement its line of business or invest in pension fund administrators or entities located in other countries whose business is related to pension matters. The Company’s majority shareholder is BBVA Inversiones Chile SA, with 51.62% of its interests. The most significant source of revenues from operations for Provida is the monthly fee charged to participants in connection with deposits into his/her individual capitalization account. Under the Pension Law, an AFP is permitted to charge a fee for, collection and administration of mandatory contributions from pension payments of programmed withdrawals and temporary income, collection, and administration of voluntary savings, management, and transfer of voluntary pension savings to other entities and transfer of contribution made by voluntary participants. Provida currently charges fees for each of the above services (as do the other AFPs, except for AFP Habitat and AFP Modelo, which do not charge fees for transferring contributions of voluntary participants).In accordance with the Pension Law, each AFP is allowed to set the fees it charges to its participants or pensioners. In connection with fees charged, the Pension Law establishes that each AFP must apply the same fee levels to each of its participants. The services provided by the AFPs in connection with collection and management of contributions include mandatory contributions and voluntary contributions made by its affiliates. Each dependent worker and an affiliate of Provida must contribute 10% of his/her taxable salary into his/her individual capitalization account. Such contributions are deducted from the affiliate’s salary and are used to purchase shares of some of the five types of funds that Provida managers. These funds are legal entities separate from Provida as Administrator. Provida collects monthly mandatory contributions that are withheld from the salaries of Provida’s affiliates by their employers and those contributions from Provida’s self-employed affiliates and voluntary affiliates. Those monthly contributions are credited to each affiliate’s individual capitalization account. In the case of dependent workers, each employer must provide Provida with a monthly payroll listing all its employees who are affiliates of AFP Provida, identifying the payments being made on behalf of each employee for pension contributions, both mandatory and voluntary. Self-employed workers prepare and submit their own payrolls. AFP Provida offers its affiliates the option to establish a voluntary savings account into which they may deposit additional funds to be invested in the elected pension fund. The general investment policy of the pension funds is determined by AFP Provida. The general objective of Provida’s investment activity is to administer the investment portfolios composed of the affiliates’ contributions in order to obtain the highest possible return for the level of risk and terms of these affiliates’ profiles. Before the Pension Reform became effective, Provida individually obtained insurance to cover its obligations to provide life and disability benefits to affiliates. If an affiliate dies or becomes disabled prior to the legal age of retirement (65 years of age for men and 60 to 65 years of age for women) and before accumulating sufficient funds in his/her individual capitalization account to finance payments to the affiliate or his/her beneficiaries regarding pension benefits required by law, the AFP has an obligation to make up the shortfall in the affiliate’s individual capitalization account. Under the law, each AFP is required to obtain an insurance policy with a licensed life insurer to provide coverage for this obligation. The Company provides specific senior pension benefits to their affiliates who meet the legal age requirement: 60 years of age for women and 65 years of age for men. At retirement, the affiliate chooses among four options for receiving his/her pension benefits: an immediate life annuity, a temporary income with deferred life annuity, a programmed withdrawal plan or an immediate life annuity with a programmed withdrawal plan. The company needs brain and backbone to run smoothly. For AFP, let us meet and know them better. Mr. Ricardo Rodriguez Marengo serves as Chief Executive Officer of Administradora de Fondos de Pensiones Provida SA. He was appointed to this post on February 1, 2007. He is Certified Public Accountant and holds a Bachelor’s degree in Business Administration from Pontificia Universidad Catolica de Argentina and a degree in Senior Management Program. Previously, he was the Commercial Chief Officer in AFJP BBVA Consolidar in Argentina. Mr. Marengo has 24,923 colleagues in 2,060 companies located in 110 countries and 12,744 executive movements have been recorded in the last 12 months. Do you trust this person are they competent? Yes, I trust company’s CEO because of his excellent records and length of service. On the other hand, there is no CFO data found for the company. The exact accounts on a balance sheet will differ by company and by industry, as there is no one set template that accurately accommodates for the differences between different types of businesses. The table below tells us the 5 years averages of Administradora de Fondos de Pensiones balance sheet. Solvency ratios measure the ability of a company to pay its long-term debt and the interest on that debt. a part of financial ratio analysis, it helps the business owner determine the chances of the firm’s long-term survival. Solvency ratio varies from industry to industry but generally, a solvency ratio of greater than 20% is considered financially healthy. Liquidity is a business firm’s ability to repay its short-term debts and obligations on time. Short-term usually means one year or less. It is also characterized by a high level of trading activity. Current Ratio is mainly used to give an idea of the company’s ability to pay back its short-term liabilities (debt and payables) with its short-term assets (cash, inventory, receivables). The higher the current ratio, the more capable the company is of paying its obligations. The quick ratio, on the other hand, measures a company’s ability to meet its short-term obligations with its most liquid assets. The higher the quick ratio, the better the company’s liquidity position. Leverage used of various financial instruments or borrowed capital, such as margin to increase the potential return of an investment. It is also the amount of debt used to finance a firm’s assets. A firm with significantly more debt than equity is considered to be highly leveraged. Administradora de Fondos de Pensiones SA PVD’s current ratio has an average of 1.44 the rule of thumb is 2.0 it means that the company may fell a little short in paying its short-term debt and will need to collect its receivables in order to meet its payment. Quick ratio averaging 1.33 and the rule of thumb is 1.0, therefore, the company has the ability to pay its short-term debt using cash and near cash. In other words, PVD has sufficient cash to meet short-term debt. Solvency ratio averaging 15.23 and the rule of thumb is 20% considerable, and financial firms are subject to varying state and national regulations that stipulate solvency ratios. There are no records for the company’s debt which resulted in a zero (0) Leverage which represents a good standing of the company. Gross margin is a company’s total sales revenue minus its cost of goods sold, divided by the total sales revenue and expressed as a percentage. Net margin is the ratio of net profits to revenues for a company or business segment – typically expressed as a percentage – that shows how much of each dollar earned by the company is translated into profits. The above table shows that PVD’s Gross margin has an average of 100 percent, which represents a good standing. Net margin has an average of 46.77 percent. This represents how much of each dollar earned by the company is translated into profits. Cash flow margin is a measure of the money a company generates from its core operations per dollar of sales. The operating cash flow can be found on the company’s cash flow statement, and the revenue can be found on the income statement. A high operating cash flow margin can indicate that a company is efficient at converting sales to cash, and may also be an indication of high earnings quality. Free cash flow (FCF) is a measure of financial performance calculated as operating cash flow minus capital expenditures. It represents the cash that a company is able to generate after laying out the money required to maintain or expand its asset base. Cash flow margin was averaging of 0.41 or 41 percent, which represents a high operating cash flow margin; an indication that a company is efficient at converting sales to cash. Free cash flow has an average of Ch. $ 108.33 or $21 million, which represents that the company is able to pay dividends, or expands its asset base. The totem Investment model in the valuation of equity adopts the investment style of Benjamin Graham; this model adopts the investment style of Benjamin Graham, the father of Value Investing. The essence of Graham’s Value Investing is that any investment should be worth substantially more than an investor has to pay for it. He believed in thorough analysis, which we call fundamental analysis. He was looking for companies with a strong balance sheet or those with little debt, above average profit margin and ample cash flow. His valuation seeks out undervalued companies whose stock price is temporarily down, but whose fundamentals are sound in the end. His philosophy was to buy wisely when prices fall and to sell wisely when the price rises a great deal. The sustainable growth rate was averaging 15.23 percent. This measure how much a firm can grow without borrowing more money. Furthermore, the margin of safety using the Benjamin Graham method was averaging 0.84 or 84 percent which passed Graham’s requirement of at least 40 percent. The market price as of November 26, 2013, is 86.90 with 1.9 billion market capitalization. The relative valuation method for valuing a stock is to compare the market values of the stock with the fundamentals (earnings, book value, growth multiples, cash flow, and other metrics) of the stocks. The above table tells us that return on equity or ROE has an average of 29.89 this is the amount of net income returned as a percentage of shareholders equity. Book value per share was averaging 24.10 while Price to earnings ratio was averaging 6.96. This is the price that investors are willing to pay. The earnings per share were averaging $ 7.55. This is the company’s net earnings allocated to each share of common stocks. Totem also adopts the Warren Buffet method using the financial calculator in the equity selection. The table below shows my calculation. The idea behind this method is when the total value is greater than the market price, the stock then is trading at an undervalued price. As shown in the table above, the total value is $173.48 and the market price used as of November 17, 2013, is 87. The overall company’s valuation shows that PVD is financially stable. The margin of safety passed the criteria based on the Benjamin Graham method. The Warren Buffet method shows that the stock was undervalued, so therefore Administradora de Fondos de Pensiones is a good BUY. 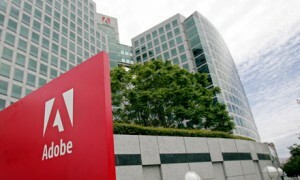 The Company markets and licenses its software directly to enterprise customers through its sales force and to end users through application stores and its Website at www.adobe.com. Adobe also distributes its products through a network of distributors, value-added resellers (VARs), systems integrators, independent software vendors (ISVs), retailers and original equipment manufacturers (OEMs). 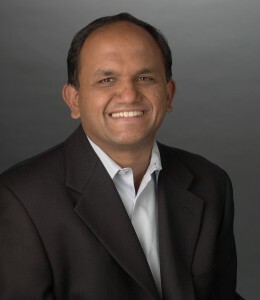 Mr. Shantanu Narayen is President, Chief Executive Officer, Director of Adobe Systems Inc. He joined Adobe in January 1998 as Vice President and General Manager of Company’s engineering technology group. In January 1999, he was promoted to Senior Vice President, Worldwide Products, and in March 2001 he was promoted to Executive Vice President, Worldwide Product Marketing, and Development. In January 2005, Mr. Narayen was promoted to President and Chief Operating Officer, and effective December 2007, he was appointed Company’s Chief Executive Officer and joined the Company’s Board of Directors. Mr. Narayen serves on the board of directors of Dell Inc. Mr. Narayen holds a B.S. in Electronics Engineering from Osmania University in India, an M.S. in Computer Science from Bowling Green State University and an M.B.A. from the Haas School of Business, University of California, Berkeley. Mr. Mark Garrett is Chief Financial Officer, Executive Vice President of Adobe Systems Inc., since February 2007. Mr. Garrett served as Senior Vice President and Chief Financial Officer of the Software Group of EMC Corporation, a products, services and solutions provider for information management and storage, from June 2004 to January 2007, his most recent position since EMC’s acquisition of Documentum, Inc., an enterprise content management company, in December 2003. Mr. Garrett first joined Documentum as Executive Vice President and Chief Financial Officer in 1997, holding that position through October 1999 and then re-joining Documentum as Executive Vice President and Chief Financial Officer in 2002. Mr. Garrett is also a director of Informatica Corporation. Adobe’s gross margin and net margin was averaging 89.56 and 19.30 percent, respectively, this shows the profit of the company. 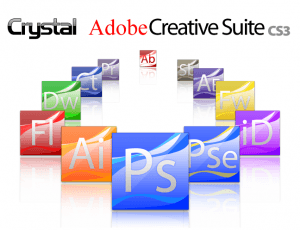 It also indicates the financial success and viability of Adobe’s products and services. Net margins measure the percentage of revenue that was left after deducting all of the expenses of the company. In other words, it shows how much cash earned during a certain period. Overall, this shows that ADBE is efficient in generating enough revenue from its business operation. The cash flow margin average is 0.35 or 35 percent. Cash flow margin is cash from operating activities as a percentage of sales. Cash from operating activities over total sales. On the other hand, Adobe’s free cash flow was averaging $1.49 million. It tells us that the company can of generating enough revenue and has cash left for payment of dividends and for future investment. The Totem Investment model adopts the investment style which we think applicable to the company, we looked for companies with a strong balance sheet or those with little debt, above average profit margin and ample cash flow. One evaluation style is that, seek out undervalued companies whose stock price are temporarily down, but whose fundamentals are sound in the long run. The philosophy was to buy wisely when prices fall and to sell wisely when the price rise a great deal. The sustainable growth rate is 13.04 percent, this implies how fast Adobe Systems Inc can grow without using more funds from creditors or investors, or where the company can keep its operation internally. Meanwhile, the calculated margin of safety was 98.45 percent. The market price as of November 22, 2013, was $57.17 per share. The relative valuation interpreted the following data: the book value per share average is $10.63, Price to Earnings ratio average was $24.92, and this is the price that the investors are willing to pay for the company’s earnings. The earnings per share average are $1.42, this represents the company’s net earnings allocated to each share of common stock. On the other hand, the return on equity is 14.3 percent; this implies how much profit Adobe generates with the investment that the shareholders’ have invested. The metrics and methods used have shown that Adobe Systems Inc. is financially stable and sound. Moreover, the profitability ratios and the cash flow margins imply that the company is capable and efficient of generating enough revenue for paying dividends and for future investments. The stock of Adobe Systems Inc. compares the total value with the current price indicates that the company is undervalued. With this, I recommend a BUY on the stock of Adobe Systems, Inc. The Apple Inc (APPL) company research is a written document and published for our readers to guide them with their investing and make better decisions as to what stocks to Buy. 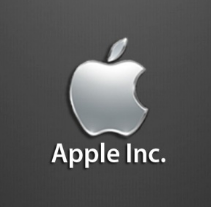 Apple Inc (AAPL) is an American technology company, headquartered in Cupertino, California. 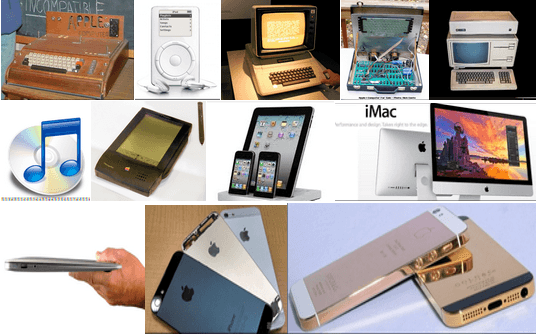 AAPL manufactures, designs, and markets communication devices to consumers, businesses and also in government entities. It is the top information technology serving the globe. Steve Jobs, Steven Wozniak, and Ronald Wayne incorporated Apple Inc (AAPL) on January 3, 1977. After three months of incorporation, Wayne sold his shares for $800. Wozniak and Jobs were high school friends, both were interested in electronics. Apple Inc. designs manufacture and market mobile communication and media devices, personal computers and portable digital music players and related accessories. The Company’s products and services include iPhone, iPad®, Mac, iPod, Apple Watch, Apple TV, iOS, OS X and watchOS operating systems, iCloud, Apple Pay. The Company sells its products worldwide through its retail stores, online stores, and direct sales force, as well as through third-party cellular network carriers, wholesalers, retailers and also value-added resellers. 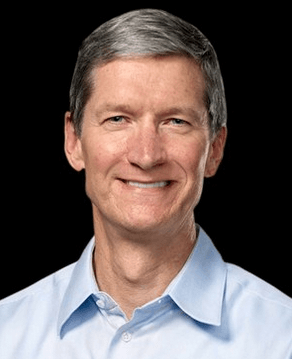 In August 2011, Tim was Apple’s Chief Operating Officer and was responsible for all of the company’s worldwide sales and operations, including end-to-end management of Apple’s supply chain, sales activities, and service and support in all markets and countries. He also headed Apple’s Macintosh division and played a key role in the continued development of strategic reseller and supplier relationships, ensuring flexibility in response to an increasingly demanding marketplace. Tim earned an M.B.A. from Duke University, where he was a Fuqua Scholar and a Bachelor of Science degree in Industrial Engineering from Auburn University. Peter Oppenheimer is Apple’s Senior Vice President and Chief Financial Officer. As CFO, Oppenheimer oversees the controller, treasury, investor relations, tax, information systems, internal audit and facilities functions. He reports to the CEO and serves on the company’s executive committee. in 1997 was promoted to vice president and Worldwide Sales controller and then to corporate controller. 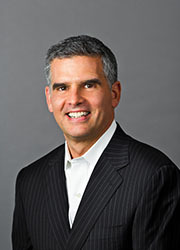 Oppenheimer joined Apple from Automatic Data Processing (ADP), where he was CFO of one of the four strategic business units. In that capacity, he had responsibility for finance, MIS, administration, and the equipment leasing portfolio. Prior to joining ADP, Oppenheimer spent six years in the Information Technology Consulting Practice with Coopers and Lybrand where he managed financial and systems engagements for clients in the insurance, telecommunications, transportation and banking industries. Oppenheimer received a bachelors degree from California Polytechnic University, San Luis Obispo and an M.B.A. from the University of Santa Clara, both with honors. Do you trust the people and are they competent? With Apple’s governance structure, the two senior officers, Timothy D. Cook, and Peter Oppenheimer have the ability to meet the standards of making business success through a high measure of responsibility. For these reasons, I do trust them and they have the necessary skills and the ability for the success of Apple Inc. In the financial analysis of a business, solvency can refer to how much liquidity a company has. When referencing to the company’s ability to service debt, liquidity refers to the ability of the company to pay its short-term financial obligations, it also refers to the company’s capability to sell its assets quickly to raise funds. On the other hand, solvency is the company’s ability to meet its long-term financial obligations. A solvent company is one that owns more than it owes; in other words, its assets is higher than its liabilities. The table above shows that the current ratio of Apple Inc was averaging 1.89 or 1.89:1, this indicates that Apple Inc has $1.89 of current assets for every $1 of current liabilities. On the other hand, the quick ratio was averaging 1.62 the rule of thumb is 1. This indicates that Apple has enough liquid resources to pay the short-term debt. In other words, it shows the capability of Apple to meet short-term financial obligations. Going forward, the solvency ratio is the capability of the company to meet its long-term financial obligations. Apple has a 2.58 solvency ratio in 2012 and 2013. It indicates that debt exceeds equity by more than twice. Gross profit margin is a measure of profitability indicating how much of every dollar of profit is left over after deducting the cost of goods sold. While net profit margin is the percentage of income remaining, after the operating expenses, interest, taxes and preferred stock dividends have been deducted from gross profit. Apple’s gross margin and net margin was averaging 39.85 and 22.59 percent, respectively, this shows good profit margins. It also indicates the financial success and viability of Apple’s products and services. Net margins measure the percentage of revenue that was left after deducting all of the expenses of the company. Same as how much cash was earned during a certain period. To sum it up, it indicates that Apple Inc is financially sound and efficient in generating sufficient revenue for its business operation. The Cash Flow Margin measures the efficiency of a company to convert its sales into cash. The cash flow margin was averaging 0.30 or 30 percent. Cash flow margin is cash from operating activities as a percentage of sales. The formula was cash from operating activities over total sales. Moreover, Apple’s free cash flow was averaging $31.0 million. It tells us that the company was able to generate cash for future investments. The following model of equity valuation adopts the investment style of Benjamin Graham, the father of value investing. In essence, Graham said, any investment should be worth more than the investor has to pay for it. Graham’s valuation looks for undervalued companies whose stock price is lesser than the cost. The sustainable growth rate (SGR) was averaging 38.75 percent, this is the maximum rate that Apple could grow limited to using its own generated revenue and without using additional funds from creditors or investors. In other words, it is the maximum rate that Apple can sustain its operation internally. SGR also measures the profitability of the company by comparing net income and shareholders equity. According to Investopedia, SGR is a good measure to plan long-term growth, actual acquisitions, cash flow projections, and borrowing strategies. Moreover, the calculated margin of safety using the Benjamin Graham method was 86 percent in 2013 trailing twelve months. In other words, it passed Graham’s requirement of at least 40-50 percent below the intrinsic value or the true value of the stock. The margin of safety provides an allowance against errors in the analysis or calculation, hence there is a different style in calculating an intrinsic value that can impact the result of the margin of safety. In addition, the market price to date, November 13, 2013, was $520.01 per share with $467.9 billion market capitalization. Let us understand what the relative valuation tells us. The book value per share was averaging $95.06, in 2013, rise to $137.32, and the growth of 291 percent in five years. While the Price to Earnings ratio was averaging $15.17, this is the price that the investors are willing to pay for Apple’s earnings. In addition, earnings per share were averaging $29.26, this represents the company’s net earnings allocated to each share of common stock. The return on equity was averaging 35.39 percent, this indicates how much profit Apple generates with the investment that the shareholders’ have invested. Overall, it shows that Apple Inc was profitable. The discounted cash flow analysis uses the free cash flow projections and discounts them to arrive at the present value. The discounted cash flow method shows that the present value of Apple’s equity was $1,012 per share and the total value was $943 billion. The calculated future value was $2,341 per share with a total value of $2.1 trillion. This means, if you were to invest $1,012 today at a rate of 28 percent, you would have $2,341 at the end of six time periods or at the end of year 6. In other words, a future value of $2,341 is equal to a present value of $1,012. If you had a choice between taking an amount higher than the $1,012 today and taking the $2,341 at the end of six years, you should take the money today. Doing this, you would be able to invest at a higher amount at 28 percent for equal 6 years period, which would end up giving you more than $2,341. The calculated net income for year 5 was $198 per share or $185 billion in total value. Totem also adopts the Warren Buffett method using the financial calculator in our equity selection. The table below indicates a summary of the calculations. Warren Buffett approach indicates that Apple Inc stock price was undervalued. In addition, the margin of safety or the value of appreciation was $404.83 per share. Furthermore, the value dividend was $236.33 per share, therefore, giving us a total value of $641.17 per share. Comparing $641.17 with the market price of $520.56, November 13, 2013, shows that Apple Inc stock is undervalued. The price is undervalued because the market price is less than the total value. Furthermore, the price that the investors are willing to pay was $2309.20 per dollar of earnings. The liquidity and solvency tests indicate that Apple Inc was financially stable and sound. While the profitability ratios and also the cash flow margins tell us that AAPL was capable of generating sufficient revenue. The company has money left for paying dividends and for future investments. Furthermore, the margin of safety and the sustainable growth rate using the Graham method has acceptable results. In addition, the discounted cash flow approach indicates a future value of $2,341 per share. When it comes to Warren Buffett method, it shows that Apple Inc stock is trading at an undervalued price. Therefore, I recommend a BUY on Apple Inc stock.